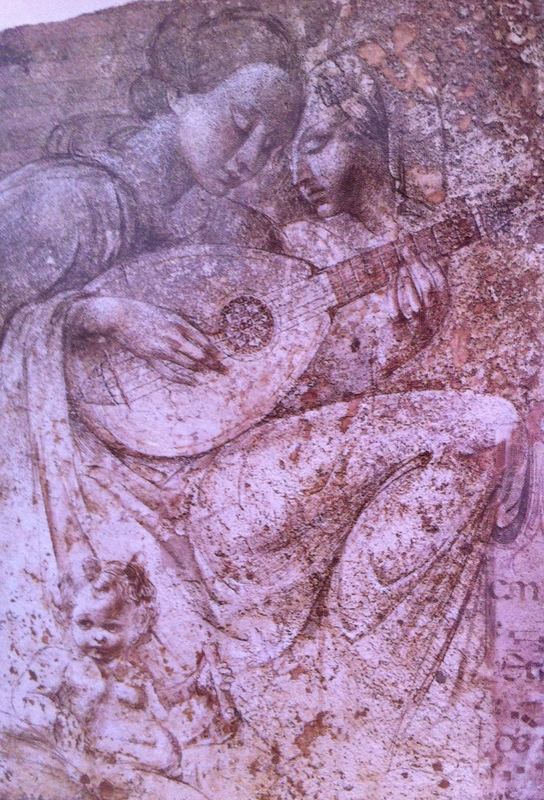 In previous posts I have written about some of the artists of Spello and Umbria. These artists have one thing in common: they are all dead. 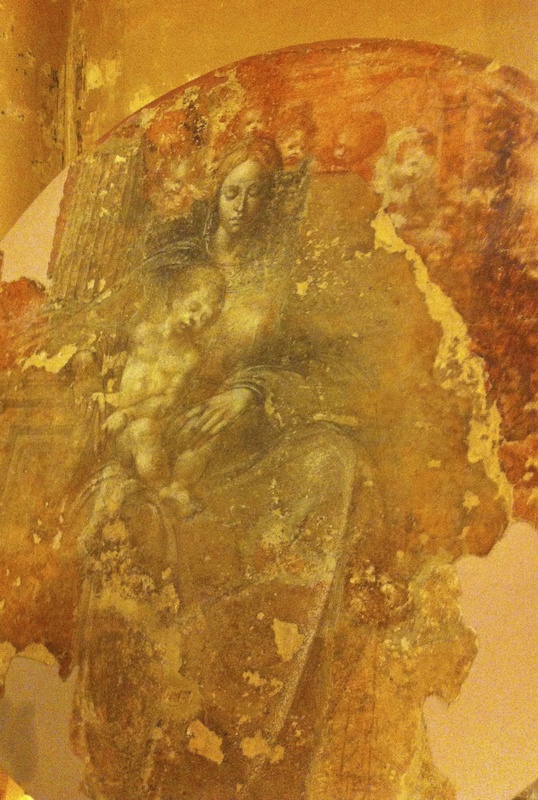 Unsurprising, of course, as they painted largely in the medieval and Renaissance periods. You may think, therefore, that living artists have nothing to contribute, and maybe cannot compare with the sheer genius of those who have gone before. But there is an artist born in Spello in 1944 and still living and working here who creates works of art so beautiful that perhaps he really does bear comparison to past masters. 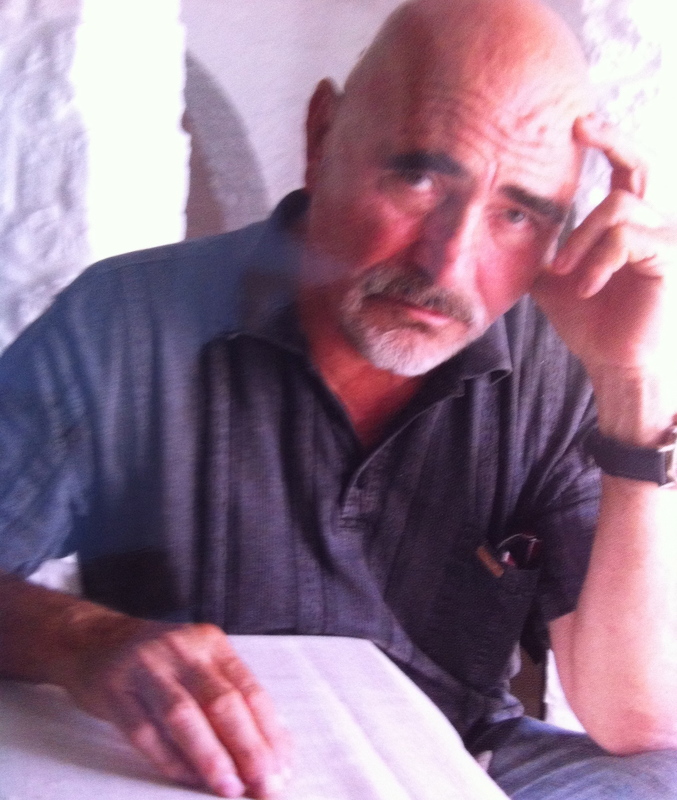 The artist in question is Elvio Marchionni. 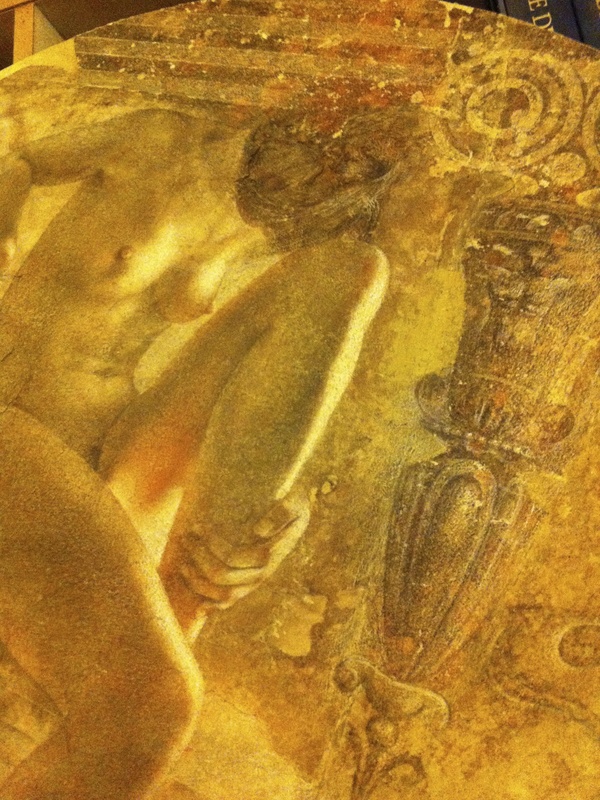 Elvio Marchionni attended the Art Institute of Bernadino di Betto of Perugia (the “little painter”, Pinturicchio), where he explored medieval painting techniques, the classics and the great past masters. 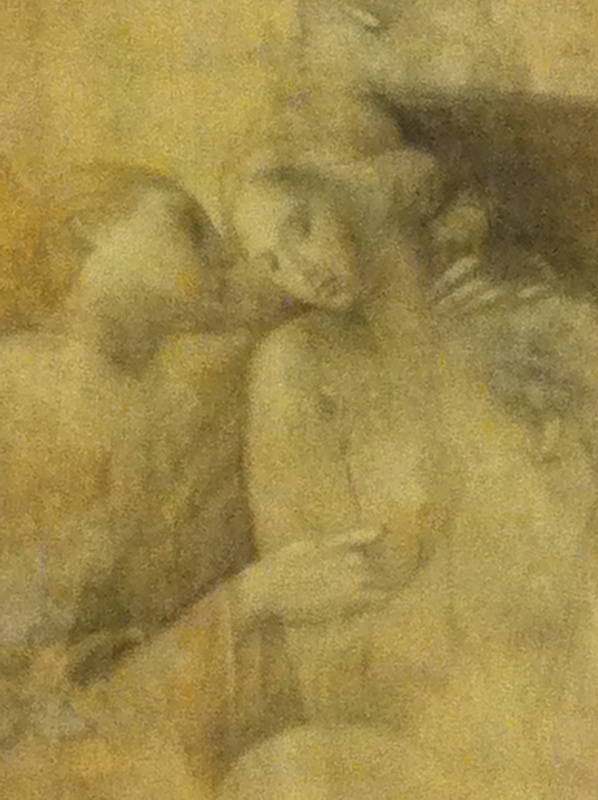 His palette is one of subdued colours, and many of his works resemble frescoes destroyed by the effects of time. He has exhibited all over Italy, including at the Venice Biennale of Sacred Arts, as well as in Paris, Madrid, Germany and the US. 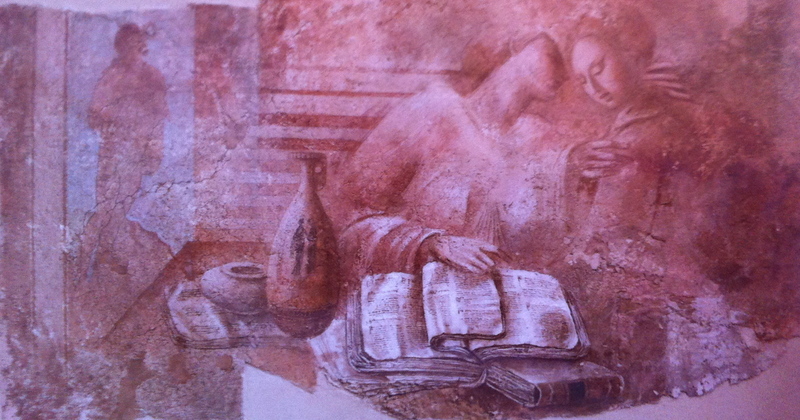 His works can be seen in nearby Foligno, both in the Cathedral and in the apse of the church at Scopoli. 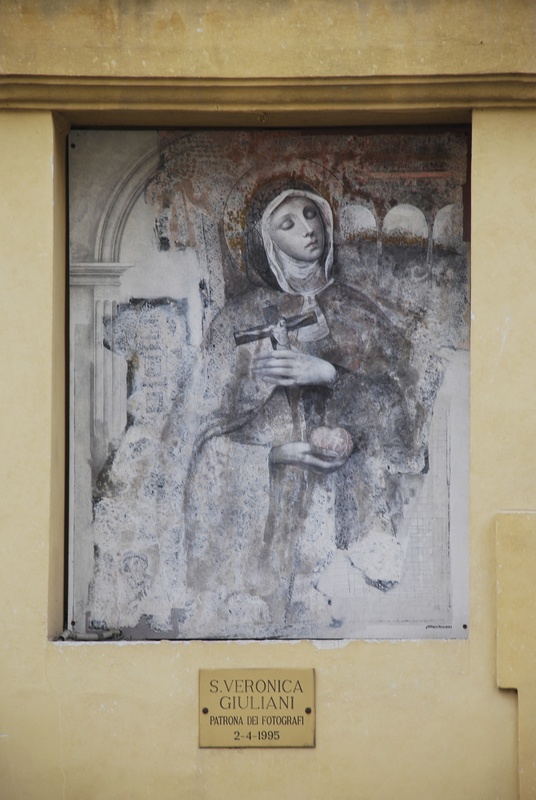 In Spello there is a painting by Elvio Marchionni in the church of Santa Maria Maggiore and another of St Veronica on the facade of one of the buildings in the main street. 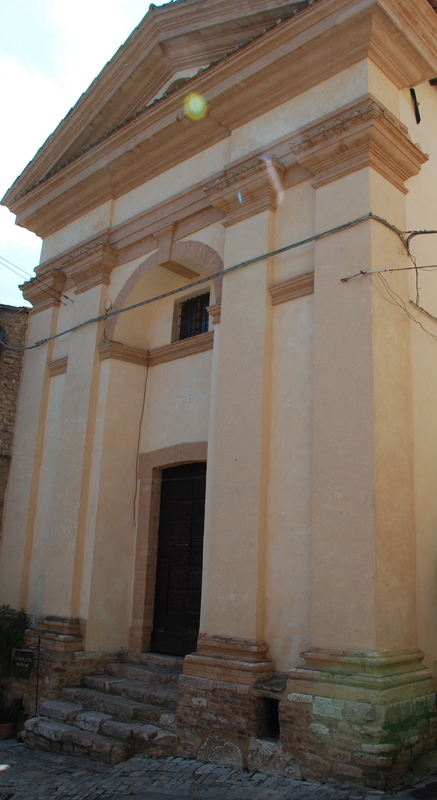 We had seen numerous posters around town advertising an event on behalf of the Marchionni Foundation at the former church of Saint Michael Archangel. We were not entirely sure what the event entailed, but we had seen canvasses being prepared and chairs being set out, so not wanting to miss anything we decided to go along. The little church was full; all around were hung lovely art works, large and small. There were TV cameras and interviewers, photographers and local dignitaries. We managed to find seats and sat back to observe proceedings. We had thought that there might be a few words said about Signor Marchionni, then we would have a chance to view the paintings. Well, the dignitaries stood up one by one and talked, and talked and talked…..An hour later they were still going strong, emphasising their points with lots of arm-waving and rousing finales. We have been a bit smug about using our Italian and were proud of the fact that we can understand at least part of the conversations around us. But we came back to earth with a huge bump that evening when we could only extract something along the following lines. “Blah, blah Caravaggio. Blah, blah Perugino. British Museum, blah, blah. Pinturicchio blah, blah. Maestro Elvio Marchionni, blah, blah.” I exaggerate for effect, but not by much. At last, the artist himself stood up to speak. He is a quietly spoken man who clearly prefers to let his art do the talking. He is passionate about art and equally passionate about sharing his knowledge with others, particularly young people. Encouraging tourists, school children and artists alike to understand the creative process and how works of art are produced is part of the Foundation’s plan. With an allusion to the past, through his Foundation he is also aiming to recreate the relationship between the artist and his disciples, moving from theory to practice, learning the trade, inspiring each other, exchanging ideas and creativity. We never did get to see all of the beautiful art works on display, but judge for yourself from the small selection included here how stunning they are. Elvio Marchionni, you are an inspiration. 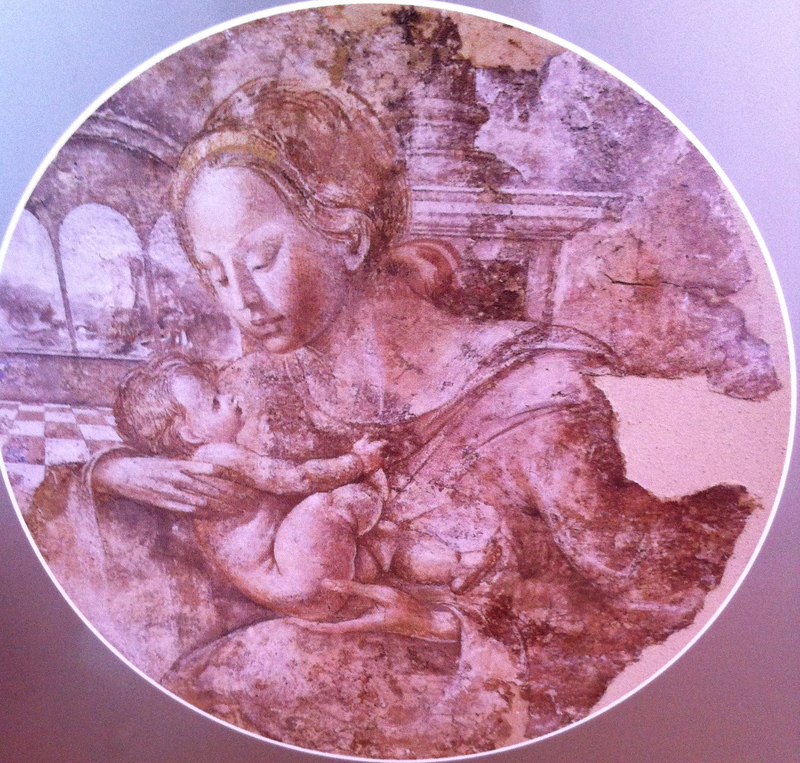 This entry was posted in Umbrian Art and tagged Basilica di Santa Maria Maggiore, blah, Elvio Marchionni, Living artist, Marchionni Foundation, Pinturicchio, Spello, Umbria, works of art on April 30, 2013 by maryshoobridge.